The hero of an instant classic game. 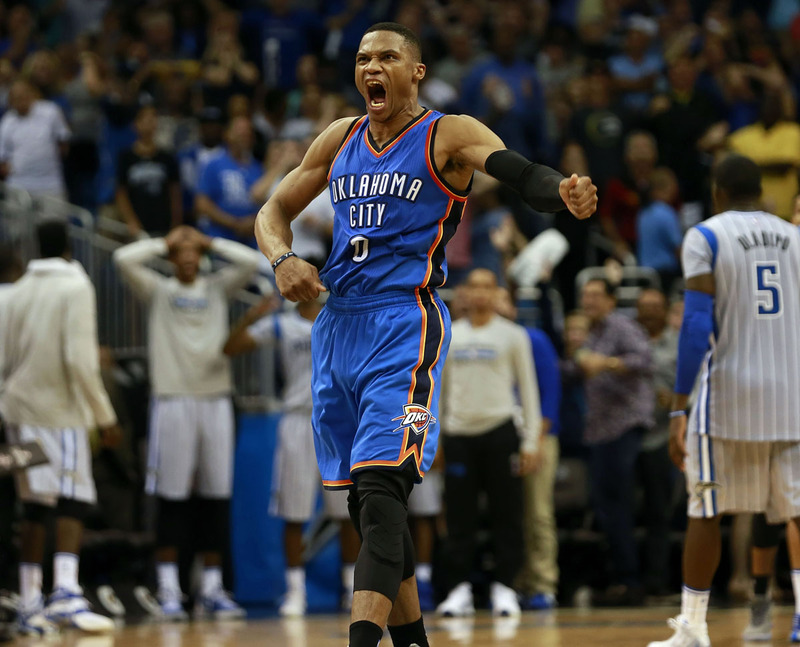 The upstart Orlando Magic gave the Oklahoma City Thunder everything they could handle Friday night — well, almost everything they could handle. 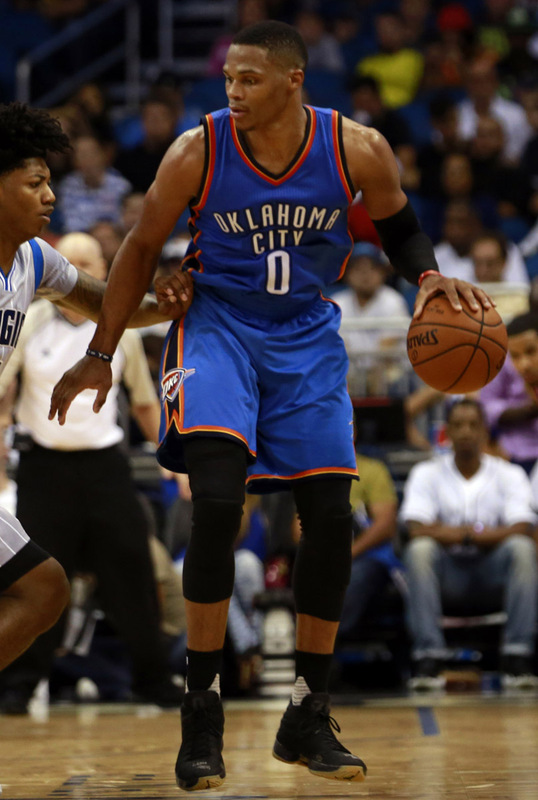 Down 18 in the 4th quarter, the Thunder rallied behind the duo of Kevin Durant and Russell Westbrook, outscoring the Magic 42-24 in the final frame to force overtime. However, it wasn't just that they forced it, but how they forced it. Magic guard Victor Oladipo hit an impressive stepback three with less than 4 seconds left to play to give the Magic a 3-point lead in regulation. 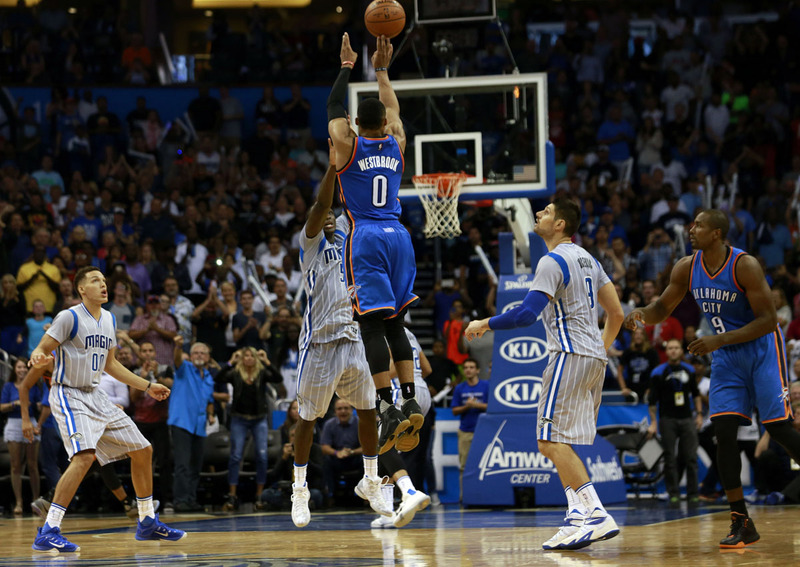 However, Westbrook calmly banked in a 3-pointer of his own from just inside midcourt to tie things up. The display between Oladipo and Westbrook, both Team Jordan, continued into double overtime, in which the Thunder edged past the Magic 139-136. 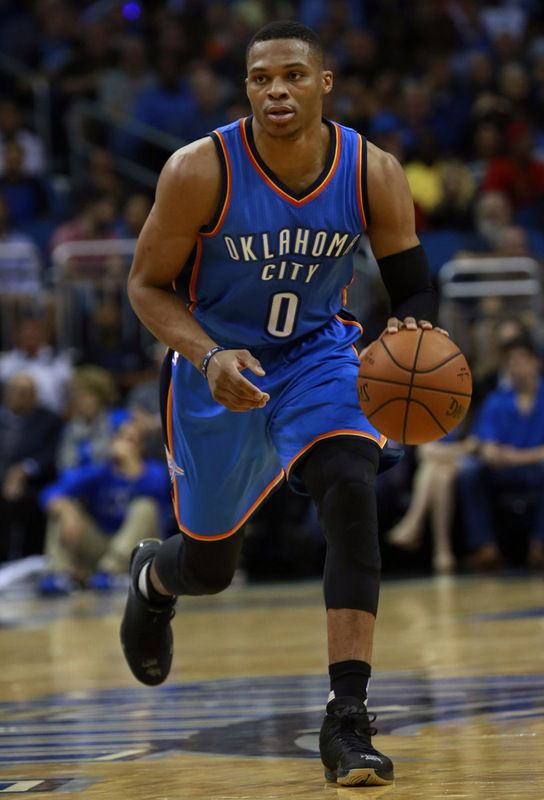 Westbrook finished with 48 points, 11 rebounds and 8 assists. Wesbrook's fittingly played this game for the ages in a black and gum PE colorway of the Air Jordan XX9. See all of his points and a few action shots below.